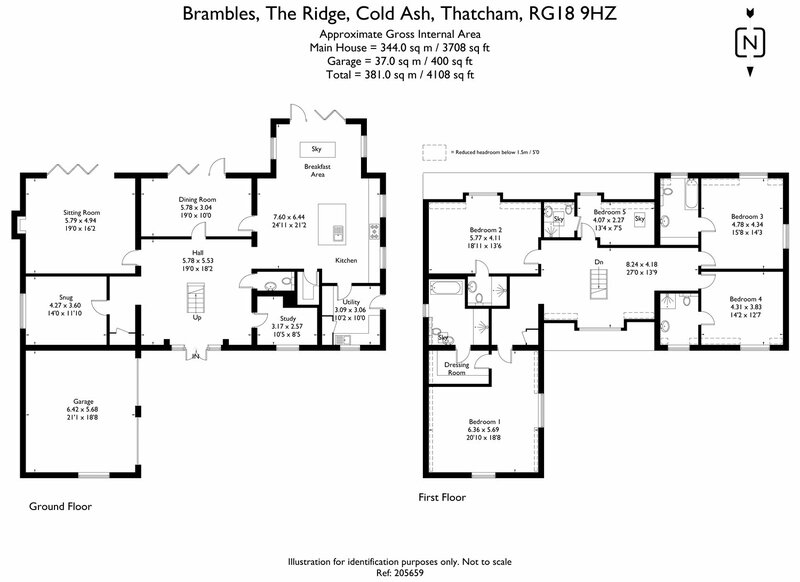 • Brambles is situated on The Ridge which is a highly desirable part of this popular village. • The village has 2 pubs, post office, tennis club, church, two popular primary schools and easy access to well respected secondary schools. • There are also a wide range of independent schools in the area, including Elstree, St Andrews, Brockhurst & Marlston House, Cheam, Bradfield, Down House and Pangbourne College. • The more comprehensive amenities of Newbury and Reading are 4 and 14.5 miles respectively, and the M4 (J13) and A34 are just 3 miles away. • A mainline service into Paddington can be picked up from Thatcham station which is about 2.5 miles away and there are regular services from Reading to Paddington taking approximately 25 minutes.